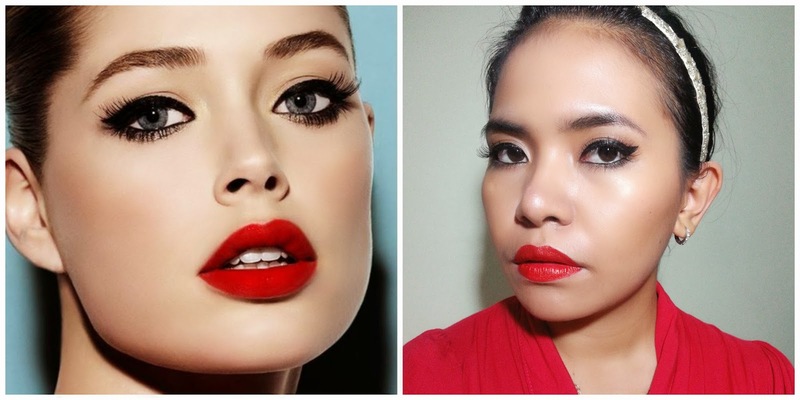 Today I want to share with you all my make up look inspired by Doutzen Kroes. Initially, I made this look for L'Oreal Paris Make Up Challenge that was held few weeks ago, but before I could post it, the MUC was already closed. Too bad, i know! But no worries, because it was a fun process to create this look. 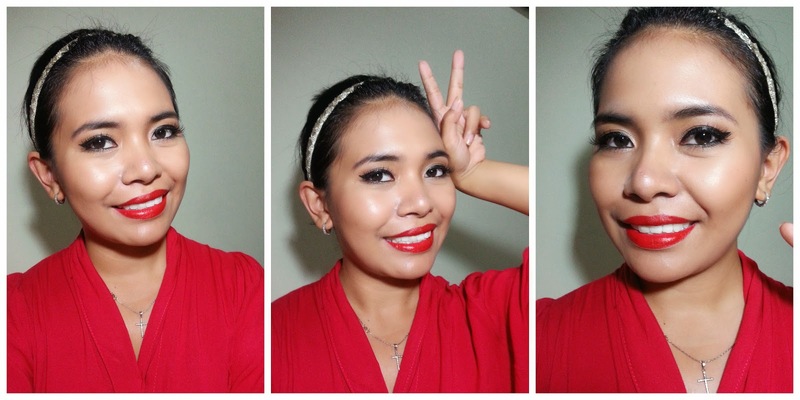 This make up basically is a classic wing eye look with bold red lips. It's an easy and yet elegant look. Will I wear this for work? Hmm, with those bold red lips, I don't think so. But It would be a very pretty look for parties and for other night event. For my eyes, I used 2 eyeshadow color, a soft shimmering pink for my lid, and taupe color for my crease. For lips, I used 2 lipsticks to reach the intensity that I wanted. So that's my quick post for today! I hope you all enjoy it, and have a nice day! Hey Hina, thanks alot! will follow you back! Which shimmer you have used on cheeks?